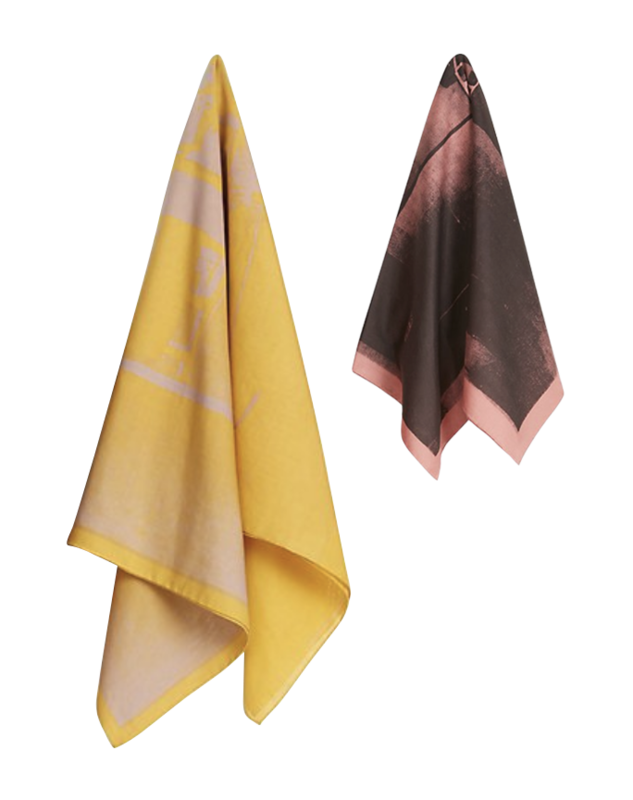 My co-founder, Angela Sutherland, is my go-to for all things gift-giving, not just for moms but for all gift giving full-stop. Ask her for a gift ideal for a male in his early 30s, with a minimalist aesthetic and a somewhat active lifestyle and she will spit back the Adidas NMD_R1 Primeknit Japan in triple black. Angela doesn’t even care for sneakers. So when I asked her to give me a quick rundown of her favorite picks for moms, she replied with an 1,000-plus word e-mail complete with detailed descriptions of each. The below is a summary of that list (minus a couple of inside-jokes that would only give the Internet definitive proof of what geeks we are). 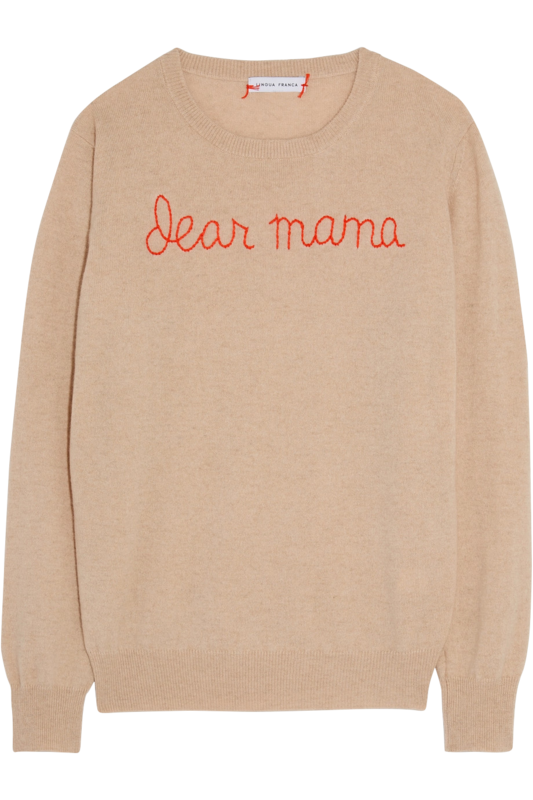 Lingua Franca Dear Mama Sweater – It’s cashmere with a little bit of edge. I own several of these sweaters made by Rachelle Hruska’s Lingua Franca. The line elevates the classic cashmere sweater with whimsical — and sometimes straight-up political — statements. I wear the “It was all a dream..” version virtually every week. Because I’m a 90’s kid and Biggie was (correction is) the best. *Also worth checking out: the “who run this mother?” Travel Set. Because when you’re traveling with two kids and a husband who has yet to master the art of packing a suitcase, you deserve to be as comfy as possible. Lunya’s ‘Tired as a Mother’ Pajama Set – Lunya CEO, super-momma Ashley Merrill, designed this pajama set with her people in mind. Made with pima cotton, they’re perfect for days when you just don’t feel like getting out of bed. Pima cotton, which has longer threads versus regular cotton, is both lightweight and warm making it an an ideal fabric for lounging and napping. I also love the “Rx glass water bottle” that comes with the set, it’s a staple on my nightstand since I literally guzzled water while breastfeeding and often reach for a quick sip in the middle of the night. Aether Sweater Pants – As you can tell, napping is on my mind. If I could literally gift a better night’s sleep to my girlfriends, I would Every, Single, Time. At least these come close. I try to make an effort to put on normal clothes before I venture out in public, but if I’m going to wear my PJs outdoors, these guys, with their silk-cashmere blends, are it. 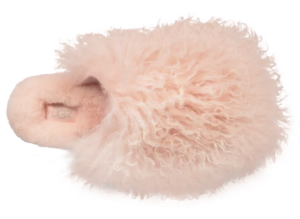 Ugg Fluff Momma Mongolian Clog in Tropical Peach – If you are going to Ugg it up, you might as well go Big. These slippers, made of Mongolian sheepskin, are also called the Fluff Momma, which is a fabulous name for something that resembles the ewok version of the maribou slipper. 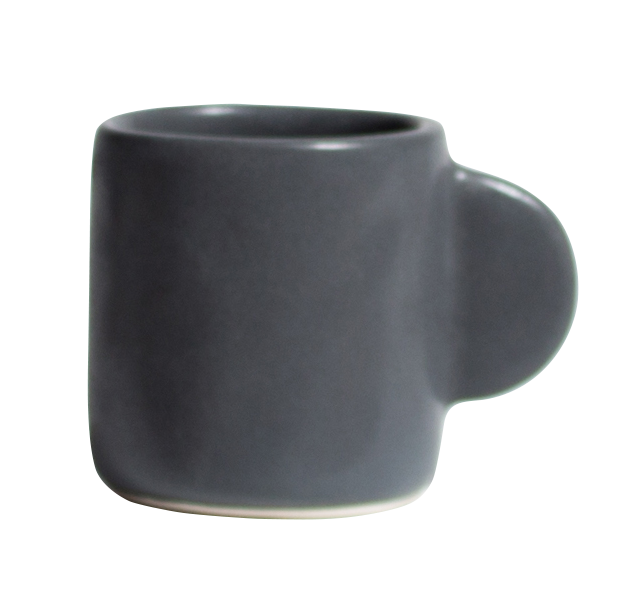 Felt+Fat Espresso Cups – The perfect glazed ceramic cup for your first, second, third, fourth or whatever-number-you’re-on espresso shot of the day. 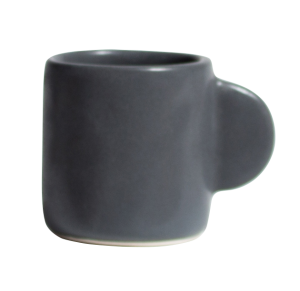 The absence of a hole in the handle, makes the entire shape feel more dainty and unique. Cute. Compartes Vegan Kale Healthy Dark Chocolate Bar – Because you want to be healthy— but you also want chocolate. 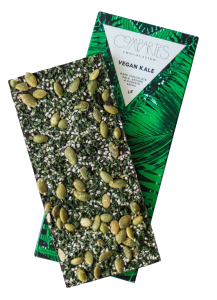 Compartes Dark Chocolate Coffee Crunch – Because you want to be healthy, but you also need chocolate and coffee. Preferably all together. 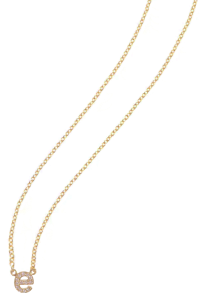 Jennifer Meyer Initial Necklace – This might sound a little cheesy but because I travel for work frequently, I like wearing items that pay homage to my little ones. For example, I cherish the plum dress in my closet that my daughter helped pick out and I love these necklaces from Jennifer Meyer, which you can get in the initials of your kids. They are made with Pavé white diamonds and a 14K gold chain. Sentimental and elegant. Andy Warhol Printed Bandanas for Calvin Klein – Buy the large size and you’ll have the chicest breastfeeding coverall for the art-loving (and nerdy) momma in your life. True Botanicals Pregnancy-Safe Hydrating Mist – One of my all time favorites from True Botanicals – I can feel refreshed, without feeling worried about harsh chemicals. It’s not equal to a day at the spa, but it’ll help you feel a little put together when you need it most. 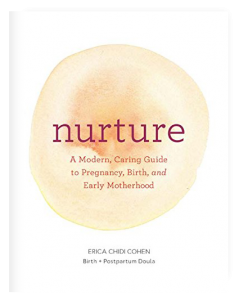 Nurture by Erica Chidi Cohen – Written by our friend and doula Erica Chidi Cohen, this book is a great guide for first time mothers (though really, moms of every stripe). 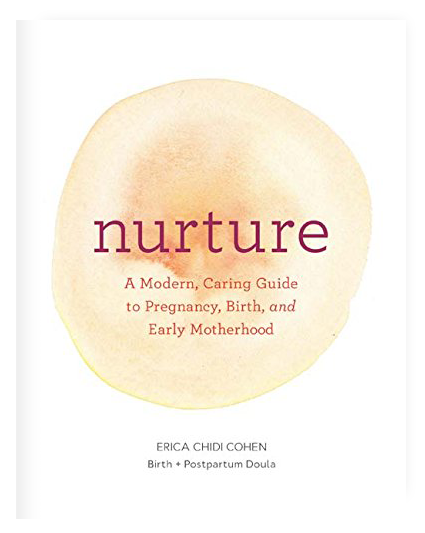 This book goes into everything you need to know about pregnancy and birthing– Erica is a goddess in this domain and loved by LA mothers. I send a copy of this book to all my new mom friends. Hatch to Hospital Box – The Perfect All-in-One Gift for expecting mamas who need to pack for that hospital stay. This box checks off so many boxes. You don’t win a medal for being the most uncomfortable mama on the day of your delivery, so you may as well enjoy some luxuries where you can.